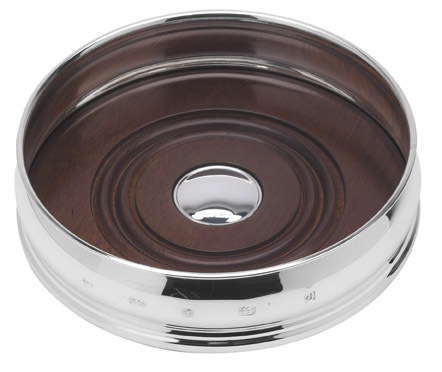 Sterling silver, barrel sided bottle coaster with wood base. This practical and attractive coaster has a feature hallmark design and would look great in any type of interior, classic or modern. 9cm diameter.